Chelsea are reportedly set to potentially make a move for Real Madrid playmaker Isco as early as January, amid his current troubles at the Bernabeu. The 26-year-old has struggled to discover his best form so far this season, scoring just two goals and providing one assist in 13 appearances in all competitions. Although he did suffer an injury setback during that period, he evidently hasn’t performed at his best, and his misery was compounded this week after being snubbed by Santiago Solari for his squad to face Roma in the Champions League, as per Goal.com. With that in mind, he could be set to move on if his situation doesn’t improve between now and January, and as reported by The Express, it’s claimed that Chelsea could be interested in prising him to Stamford Bridge. There’s no denying that Isco possesses world-class talent, and so perhaps a fresh challenge and new environment will help to get the best out of him. 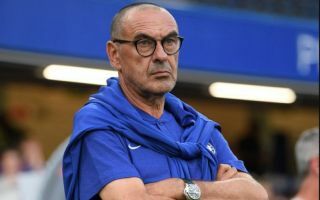 Further, with Chelsea adopting a possession-based style of play under Maurizio Sarri, he could be an ideal addition to their team given his technical quality and creativity, while also adding a different dynamic in the final third. While the likes of Eden Hazard, Pedro and Willian offer pace, direct running and trickery in a different sense, Isco could potentially pull the strings in a more central role and provide more service for the frontman, whether that be compatriot Alvaro Morata or Olivier Giroud. In turn, it seems like a sensible move if Chelsea are keen on Isco, but it remains to be seen if Solari is willing to allow him to leave and whether or not the two clubs can agree on a transfer fee.